Congress MPs staged a walkout after Lok Sabha Speaker Sumitra Mahajan refused to send the Citizenship Bill to a select committee. The Lok Sabha on Tuesday passed the controversial Citizenship (Amendment) Bill, 2016, and The Constitution (One Hundred and Twenty-Fourth Amendment) Bill, 2019. The Constitution (One Hundred and Twenty-Fourth Amendment) Bill, 2019, which seeks to provide 10% reservation to the economically backward people among the upper castes, was passed with 323 members voting in favour of it. Several Opposition parties, including the Congress, Shiv Sena, and the National Congress Party have supported the bill. However, they have accused the Centre of introducing it with the General Elections in mind. The elections are expected to be held later this year. 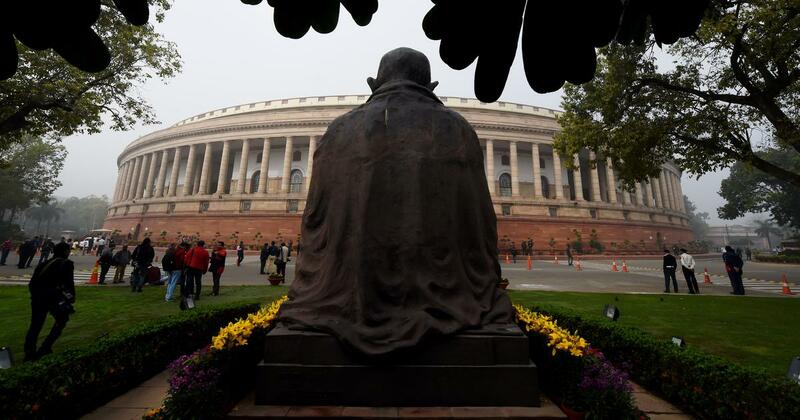 While the Lok Sabha was adjourned without a date appointed for its resumption, the Rajya Sabha, which was also slated to end on Tuesday, was extended by a day. This was the last full session of the 16th Lok Sabha before Lok Sabha elections are held. 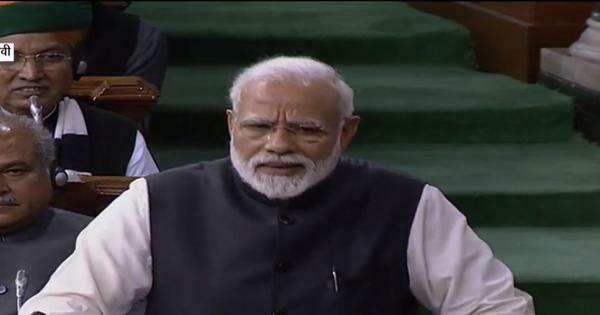 In the Lok Sabha, the Congress MPs staged a walkout after Speaker Sumitra Mahajan refused to accede to the party’s request to send the Citizenship Bill to a select committee. The Bill, which seeks to amend the Citizenship Act of 1955, proposes to grant citizenship to Hindus, Sikhs, Jains, Buddhists, Christians and Parsis from Bangladesh, Afghanistan and Pakistan after six years of residence in the India, instead of 12 years, even if they do not have the requisite documents. Seeking to allay fears that Assam would bear the brunt of the bill, Union Home Minister Rajnath Singh said, “The burden of illegal immigrants will not borne by Assam, it will be shared by different states”. The legislation also seeks to offer relief to persecuted migrants who come through the country’s western borders such as in Gujarat, Rajasthan, Delhi, Madhya Pradesh and other states, the minister said. “They have no place to go to, except India,” Rajnath Singh said. The first Prime Minister Jawaharlal Nehru and several others were in favour of offering refuge to persecuted minorities in neighbouring countries, he said. When former Prime Minister Manmohan Singh was leader of opposition in the Rajya Sabha, he had asked the then National Democratic Alliance government to take a liberal approach on the issue of persecuted minorities in Bangladesh, Rajnath Singh added. The home minister said Indian leaders had signed pacts with leaders of Pakistan and Bangladesh for protection of minorities but nothing was implemented. The Mizoram and Meghalaya governments opposed the bill and adopted resolutions against it in their respective cabinet meetings. The Union Cabinet has also approved of granting Scheduled Tribe status to six communities in Assam namely the Tai Ahom, Chutia, Tea Tribes, Koch Rajbongshi, Matak and Moran. The decision has been viewed as the central government’s attempt to placate the people of Assam, who are strongly opposed to the Citizenship Bill, reported PTI. The government also introduced the Trade Unions (Amendment) Bill and the DNA Technology (Use & Application) Regulation Bill in the Lok Sabha on Tuesday. After the Citizenship (Amendment) Bill was tabled in the Lok Sabha, several parts of Assam had held protests and observed a “Black Day” on Tuesday. The Asom Gana Parishad had on Monday ended its alliance with the Bharatiya Janata Party due to disagreements about the legislation. All India United Democratic Front President Badruddin Ajmal and Trinamool Congress MPs protested outside Parliament against the Bill, ANI reported. Meanwhile, the Rajya Sabha was adjourned without any proceedings on Tuesday after members of the Samajwadi Party protested against a likely inquiry on their party leader Akhilesh Yadav in connection with a sand mining case, The Hindu reported. The Upper House met again at 2 pm, but was adjourned repeatedly. It was later adjourned till Wednesday. The Winter Session was originally scheduled to conclude on Tuesday but was extended after business remained pending.